The forklift classes conducted by 3-E Safety Services, LLC. will satisfy requests made by General Contractors, OSHA Inspectors, and Insurance Companies. 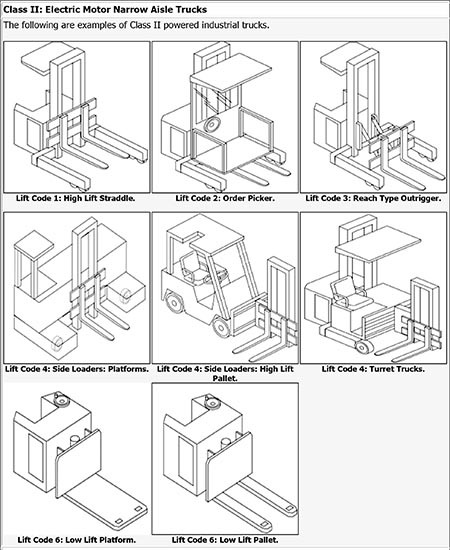 General Contractors typically do not let anyone run a forklift unless they can provide training documentation for the specific equipment they are planning on using. This training will allow workers to show up on a jobsite and produce a card and/or certificate to show the Superintendent that they have been properly trained. In regards to OSHA, they can impose a penalty of up to $12,471 for each untrained operator and for unsafe acts while operating the lift. If the citation is deemed willful, the penalty may be as much as $124,709. 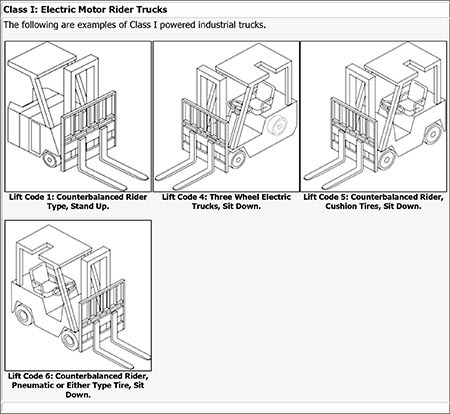 3-E Safety Services’ forklift operator class will comply with the OSHA Standards 29 CFR 1910.178 and 29 CFR 1926.602. This will ensure that all workers are trained in accordance to OSHA standards, which should satisfy OSHA inspectors, the General Contractor and all other parties that may be involved in the overseeing of a project or site. 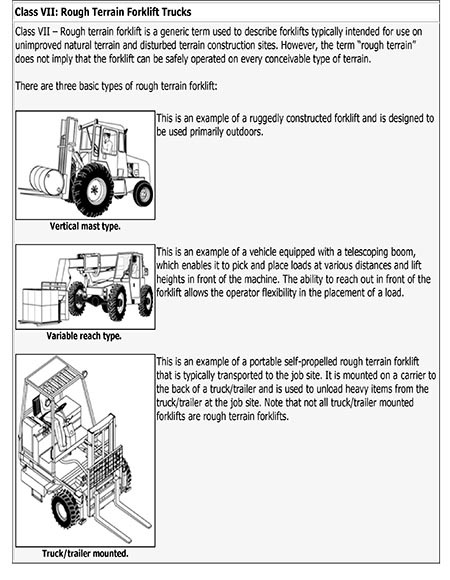 The OSHA standards state that all forklift operators must receive training prior to operation of the lift. 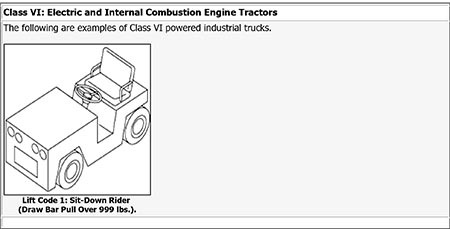 This training must be conducted by a person with the necessary knowledge, training, and experience to train powered industrial truck operators and evaluate their competence. 3-E Safety Services, LLC accomplishes this by conducting classroom instruction that includes a video on forklift hazards, information on the type of vehicle being used, the hazards of the vehicle and the jobsite, general safety requirements of the OSHA standard, workers’ prior knowledge and experience, and a quiz at the end of the paperwork. The training class will also include evaluating the operators during a hands-on practical portion. 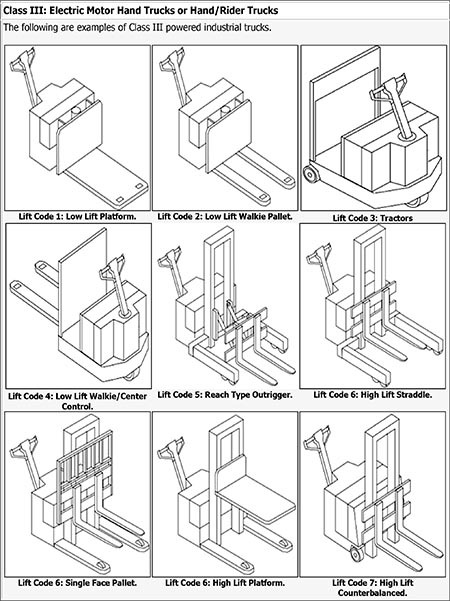 A pre-inspection of the lift will occur at the beginning of the hands-on portion. In all, the classroom and hands-on portion are typically completed in approximately 2-2.5 hours. After the training is complete and workers have passed the class, they will receive a laminated Authorized Operator Card and a Certificate of Completion. The laminated wallet card should be kept in an accessible place to provide to anyone that asks for it. It is still imperative that the employer ensures the workers are competent enough to operate the truck safely. 3-E Safety Services, LLC has ensured that our training class has met all OSHA requirements, while providing extra content that we feel is both essential and valuable to prospective and experienced operators. Refresher training is also required at least every three years, even if the operator has not been found operating the forklift unsafely or been involved in an accident. 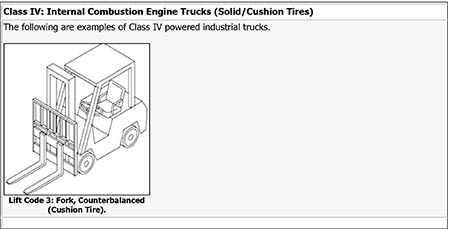 All persons who will operate a powered industrial truck must be trained and pass an operator evaluation before being allowed to use a vehicle in the workplace. OSHA states that an employer does not need to retrain an employee in the operation of a powered industrial truck if the employer certifies that the operator has been evaluated and has proven to be competent to operate the truck safely. However, the employer is fully responsible for documentation certifying that the required training and evaluation has taken place for all truck operators. The operator would need additional training in those elements where his or her performance indicates the need for further training and for new types of equipment and areas of operation. The OSHA standard requires that the employer certify that each operator has received the training and has been evaluated. The written certification record must include the name of the operator, the date of the training, the date of the evaluation, and the identity of the person(s) performing the training or evaluation. Employers who evaluate the operator’ s performance more frequently than every three years may retain the most recent certification record; otherwise, certification records must be maintained for three years. 3-E Safety Services, LLC is able to come to a jobsite, work location, or a rental facility to conduct the training class. All that is needed is some place to conduct the classroom portion and the forklift or style of forklift that you want to be trained on and enough room to safely operate it. Both the classroom and hands-on portion must be completed before a card or certificate will be given out. If requested, 3-E Safety Services is able to provide course completion cards the day of the training class. If training classes are in the Kansas City Metro, prices begin at $125 per person with a minimum of two people (minimum $250 per class). Price breaks begin when there are 5 or more workers in the class.